Description Of Work: New roof following hail damage. Member Comments: Sergie, owner, was great to work with - very personable and professional. He explained the project carefully and included many extras in the price. Tracy, project manager, was also great to work with. The workers did a great job and did not cut any corners - they can be proud of the work they performed. Our only financial obligation was our insurance deductible. Sergie guaranteed the final price would be within the settlement offered by the insurance company. I would be happy to work with Sergie and Rooster Exteriors again. Description Of Work: Complete new roof,life time warranty on shingles by GAF Timberline High Definition Lifetime Roofing System. New gutter system with LeafFree Gutter Protection that includes a Lifetime warranty. Member Comments: The work was accomplished in a professional manner by 8 workers and a supervisor on hand at all times. Any questions had were answered and explained. One worker found an area of the roof that was rotted and it was addressed at that time. They did a great cleanup job. They even came back the next morning when it was day light to finish the clean up that could not be taken care of because of darkness. My roof was replaced due to hail storm that came through last May [paid through insurance claim]. Member Comments: Everything good, cleaned up every night. All workmen very polite and hard working. All product used seemed to be of very good quality. Description Of Work: Provider shingled a roof with hail damage paid primarily through my insurance. Member Comments : Overall it went very well. The materials arrived in a timely manner. The roofers took 2 days to complete but most was done in one day. Since the roof was about 20 years old there was some underlying damage. 98% of the work was in the first 2 days but some of the underlying structure on a roof overhanging a deck had rotted and it took awhile to get a carpentry crew to repair that. The Construction Manager Gregg Biske was outstanding, overseeing the work being performed by the roofing crew, and very sensitive to our needs and concerns with the needed roof repairs and he made adjustments in cost for a few minor mishaps. He even called us on his own time at night to be sure we were kept informed and satisfied. Dealing with the contract manager from the office was also a positive experience. In summary Rooster followed through on the contract provisions and did an excellent complete job! Sergie was great from the get-go, prompt, professional and very knowlegable. I must admit I was aprehensive but Sergie took the time to educate me on the process and everything, including great weather on the date of installation. Rooster Exteriors crew was hard working and attentive to my concerns, particlarly when working around garden areas. Rooster Exteriors did what they said they would do, I was always kept informed and updated on status. From material delivery to tear-off and reshingling everything went according to plan. Hire Again: Yes Description Of Work: Complete roof replacement. Sergie from Rooster Exteriors was professional from the first moment we met him. He is an expert in working insurance companies, advocating for the home owner. The GAF products he uses are top-of-the-line. Sergie and his workers were punctual and paid close attention to detail. The communication was fantastic before, during, and after installation. Clean-up was thorough. We are thrilled with our new roof and highly recommend Rooster Exteriors! Sergie and Ivan were great to work with. They helped me from the start. Our roof leaked after the late snow in May. My wife and I had doubts and thought that it is highly unlikely an insurance claim. The guys met with an insurance adjuster and helped facilitate the approval. We even picked a different color of shingles. Fast forward to the day the crew showed up early Friday morning. We have a pretty large roof and there were couple of crews working on it all day long. Juan and Ivan were there all day supervising the work and communicating with us as some minor issues came up. At the end the house looks amazing. The job was done timely and with great care. Even our daughter's play house's roof was replaced :) Thank you Rooster Exterior!!! Description Of Work : Filed insurance claim. Dealt with adjuster. Replaced wind-damaged roof. Excellent service. Quality work. Complete clean-up. Very professional. Description Of Work: Provided a new roof. Member Comments : The service was great. Scheduled quickly and done as promised within a day. They even provided photos of the project to prove they laid the correct items under the shingles. Member Comments: The Rooster Exteriors team effectively and professionally represented me in my claim with my insurance provider for roof repairs due to storm damage. It took approximately four weeks from start to finish (insurance claim to installation to final check) while Rooster took care of all negotiation with regard to the work that needed to be done and the related costs. Communication was outstanding from the outset, and every interaction throughout the project was professional and sincerely service focused - even with the work crew on installation day! Through the past few summers, I have had numerous contractors stop by to point out that I probably had a need for roof repair/replacement. 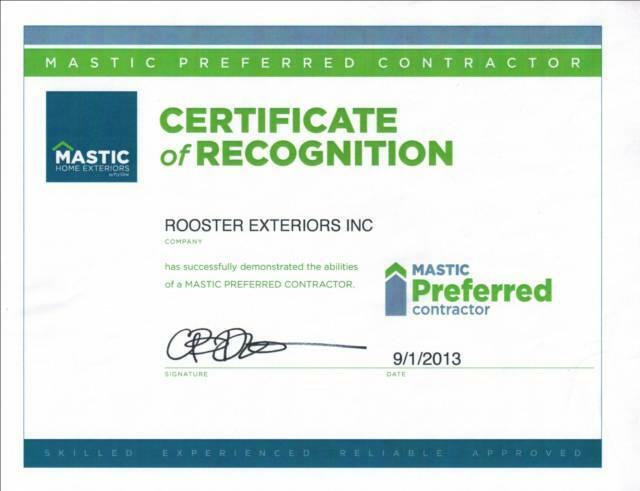 I ultimately went with Rooster because the level of professionalism and preparedness/knowledge of the first individual I spoke with from Rooster was miles ahead of most of the other contractor representatives. I am glad I did - the roof looks great and the process was absolutely headache free! 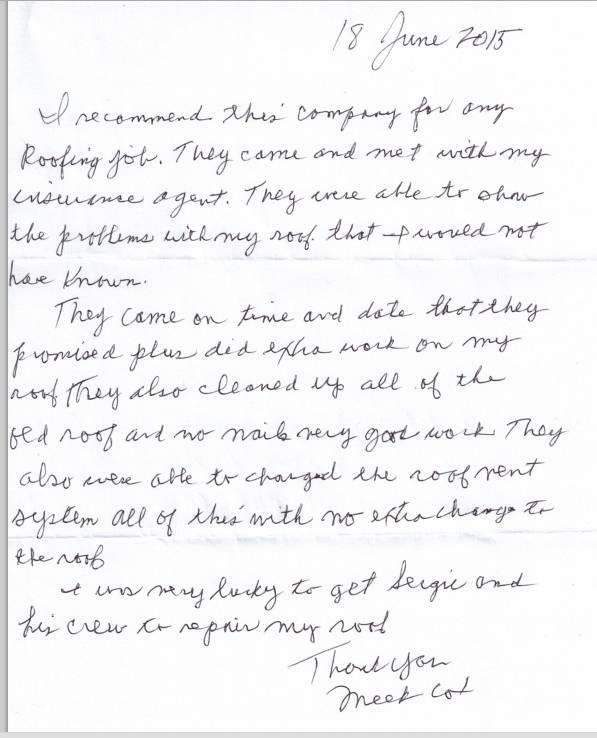 We recently had a new roof installed by Rooster Exteriors Inc. We were so impressed with the quality of work, workmanship & timely fashion in which the work was completed that I felt compelled to write this review. Sergie, the owner, said that we had some storm damage, took pictures of the damage & even called our insurance agent for us to generate a claim. He took care of "EVERYTHING" from A-Z & now we have a beautiful new roof that the insurance company paid for because of the storm damage. Sergie, the owner, Jamie, the project coordinator, Benito & his crew members were all present when the project was started to make sure that everything was in place. They did such a fantastic job with the roof & clean-up !! It was such a pleasure to work with Sergie & his professional team & would like to highly recommend this company. As an added bonus a GAF warranty is provided with our new roof. I had an egress window put in, they did a wonderful job and was done around a very tough work schedule they were very understanding with my schedule. Rooster Exteriors recently completed a new roof system on our house. We have enjoyed working with Sergie Gontcharenko, and we are impressed with his knowledge and professionalism. The entire project from tear off through installation of the new roof took two to three days. His crew was courteous and efficient. They also did a great job with the clean up afterward. We intend to use Rooster Exteriors and Sergie for future projects on our house. I had poor past experience with roofing companies, so was reluctant to work with any company stopping by my house. Sergie and Rooster Exteriors were working on other homes in the neighborhood with good feedback. I am glad I allowed Sergie to inspect my roof. He and Rooster Exteriors worked painfully with my insurance company. When it came time to replace my roof, it was done quickly and professionally. It is worth working with a company that wants to do an excellent job. - "Really impressed with the work, this guys are top professionals on what they do .Thx Sergie and Jaime"
- "I had Rooster exteriors replace one basement window and add an egress window. I was very happy with the timeline to get the job done and the job was done well." - "I would definitely recommend this company. We had a unique situation in that we attempted to do our roof ourselves. We realized, after tearing the roof off that we were in over our heads. I called several places, in a panic. Rooster re-arranged their schedule to have someone out the next day to complete the roof for us before the rain came. They did a great job from the roof to the clean up. The price was very reasonable but most important, for me, was the level of customer service they provided. I was called soon after the roof was completed to make sure I was satisfied. Cannot say enough good things about this company." - "We recently had a new roof installed by Rooster Exteriors Inc. We were so impressed with the quality of work, workmanship & timely fashion in which the work was completed that I felt compelled to write this review. Sergie, the owner, said that we had some storm damage to our roof, took pictures of the damage & even called our insurance company & talked to our agent for us to generate a claim. He took care of "EVERYTHING" from A-Z & now we have a beautiful new roof that the insurance company paid for because of the storm damage. Sergie, the owner, Jamie, the project coordinator, Benito & his crew members were all present when the project was started to make sure that everything was in place. They did such a fantastic job with the roof & clean-up !! It was such a pleasure to work with Sergie & his professional team & would like to highly recommend this company. 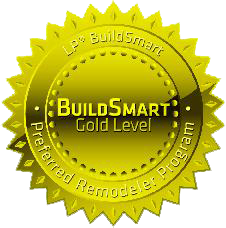 As an added bonus, a GAF warranty is provided with our new roof." 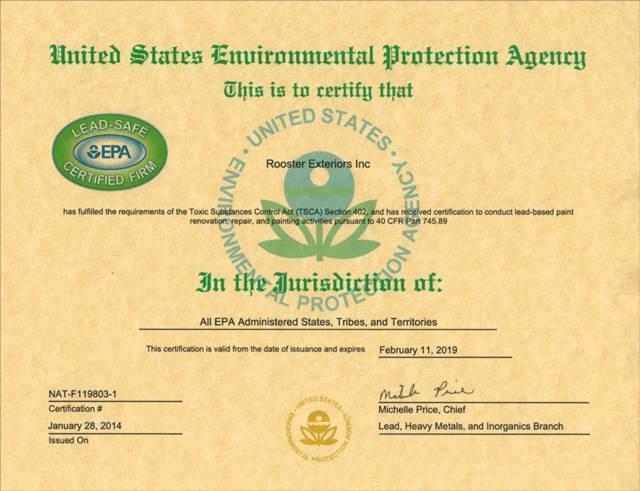 - "The company did a great job with care , responsible and professional . Satisfied costumer that is their gold with it I really am .I'm very happy to have done a business with them including trust and guaranty. I would refer to anyone who want to have done in their service ." Sergie is great! We are first time homeowners and Sergie took time to educate us about our homeowner's insurance and walk us through the process. We have a beautiful new roof on our house and garage that comes with a 50 year warranty--which can be transferred to the new owners should we ever decide to sell. The installation crew was professional and finished on time. Everyone I worked with was friendly and very accommodating. I would highly recommend Rooster Exteriors to anyone. 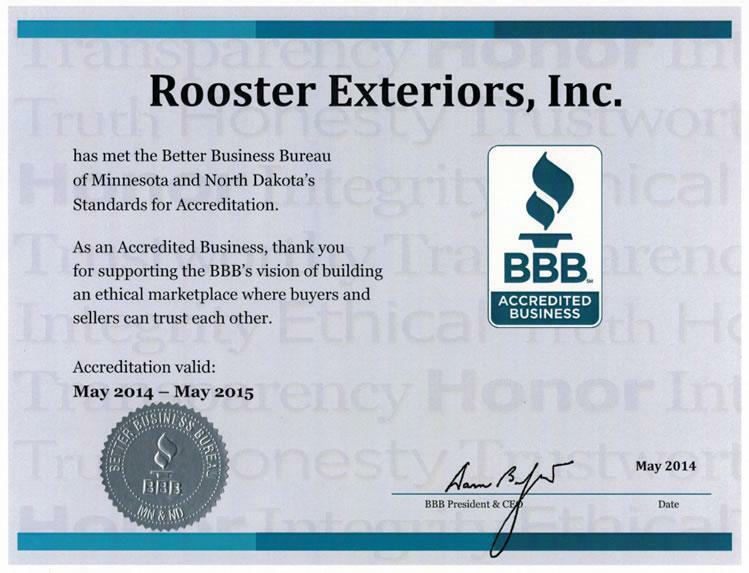 Rooster Exteriors was recommended by my realtor when my house needs repairing for selling. Sergie is very responsive and helpful. He knows his stuff and has lots of experience. He helped me talk with inspector and insurance company, navigating me through the process to get roof replacement approved and beyond. During projects, Jamie and his teams did a wonderful job, and finished the projects with good quality in a very timely manner. They are also very helpful to deal with my mortgage company paper work. The communication is great and work is professional. I appreciate their help throughout the process and highly recommend Rooster Exterior to anyone who needs the best contractor. Rooster Exterior did an excellent Job on my roof!! I was very pleased with the looks and how fast it was done! I would definitely recommend them to anyone that wants there roof done! Surgi was VERY helpful in our process with getting our roof done! He worked personally with us and our insurance agency and made it happen! They came and did the roof in a timely manner! I would definitely recommend him!